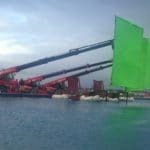 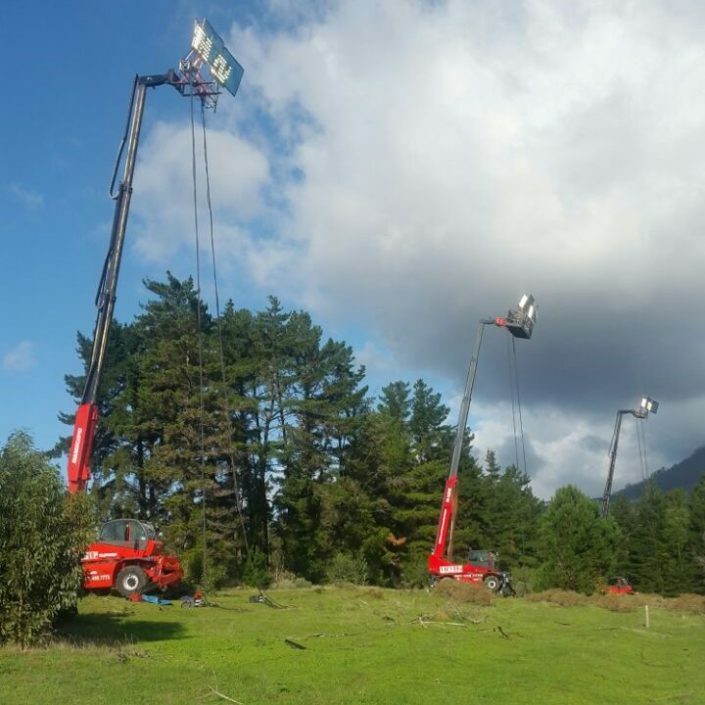 Mobile cranes are the perfect vehicle for carrying heavy set lighting and cabling at movie shoots and performance events. 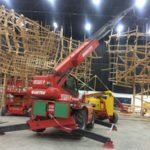 Not so long ago, set builders had to construct scaffolding for lighting a shoot and then break the scaffolding down to move the lights to the next position. 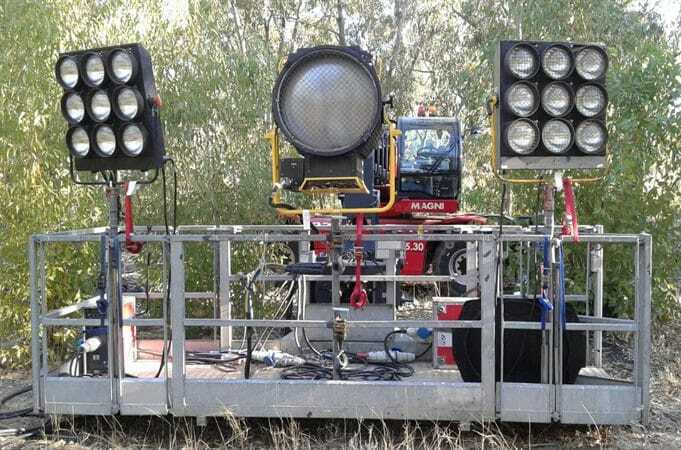 But now you can mount the lights on a mobile crane telehandler attachment and just drive the crane into the new position. This saves hours of time and labour. 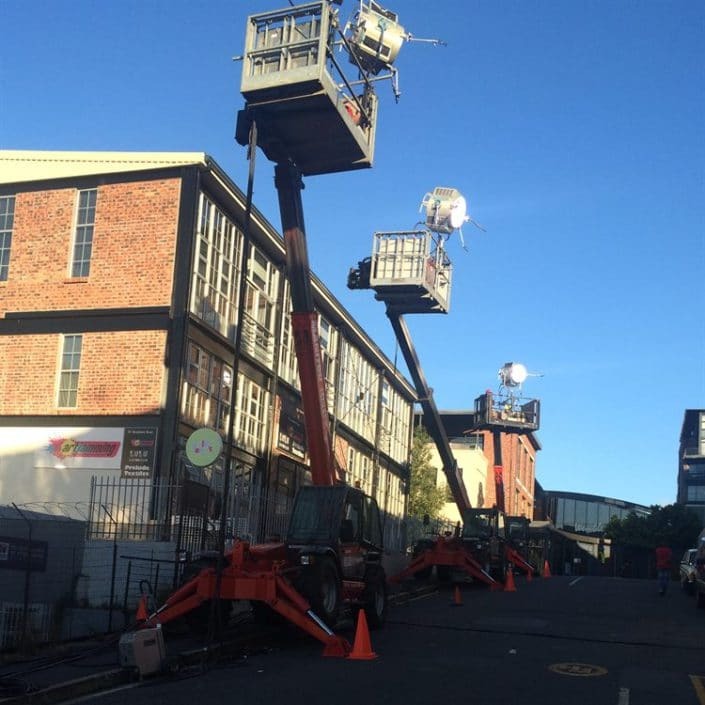 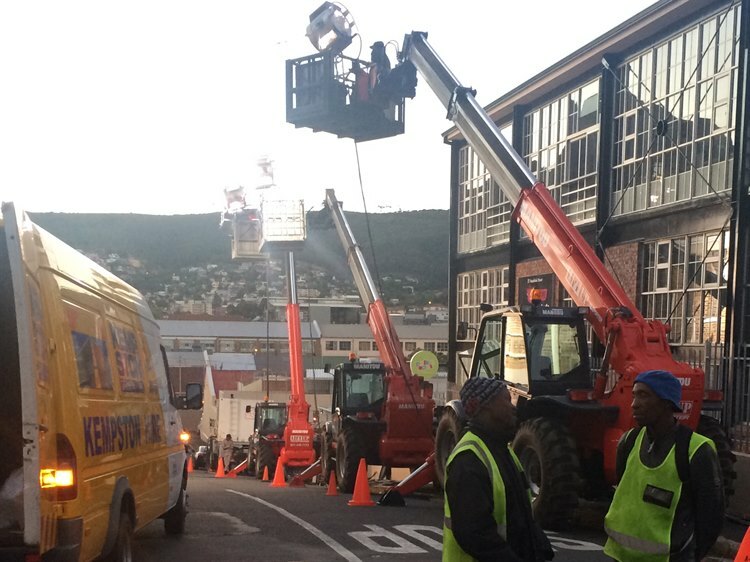 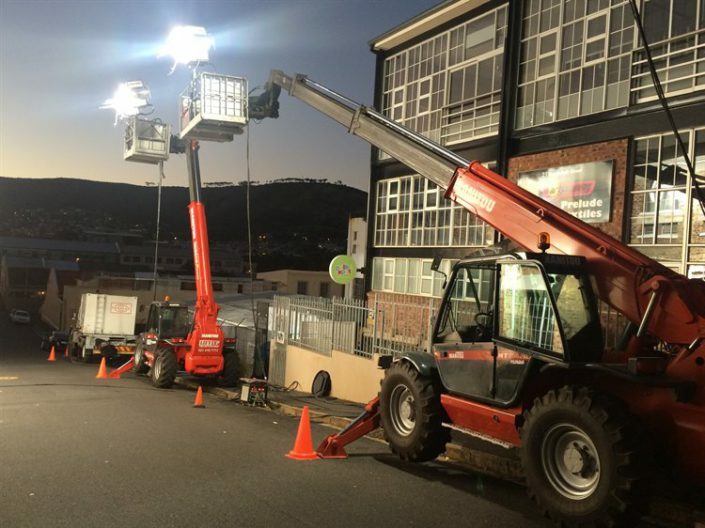 The images in the gallery below show just some of the ways we’ve been hard at work lighting sets in the Cape Town film and entertainment industry. If you’ve got a movie shoot or big event planned, speak to us about hiring our cranes and lighting attachments.